Pre-order for PS4 Pro 1TB Star Wars Battlefront II Bundle is now available. This bundle features a customized Jet Black 1TB PS4 Pro and a matching DUALSHOCK4 wireless controller. The game will release on November 14, 2017, and the shipping will also start on the same day. PS4 Pro 1TB Star Wars Battlefront II Bundle will cost you $499. 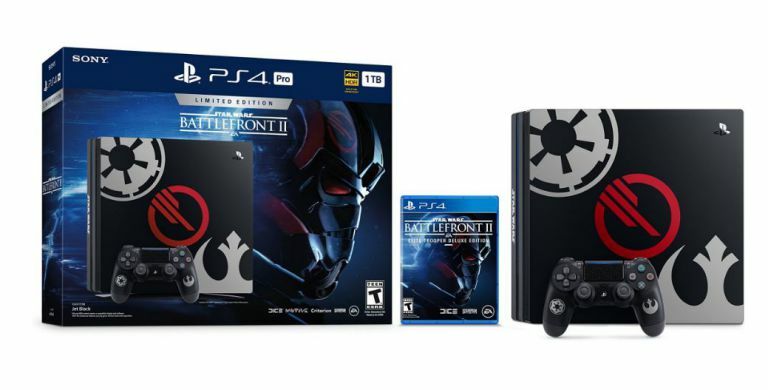 This Limited Edition Star Wars™ Battlefront™ ll PS4™ Pro bundle will immerse you in epic Star Wars battles. 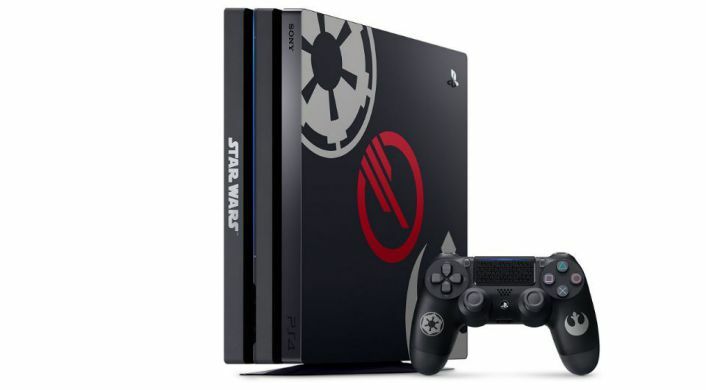 Featuring a fully customized Jet Black PS4 Pro and DUALSHOCK®4 Wireless Controller inspired by the game, and Star Wars Battlefront II: Elite Trooper Deluxe Edition. Experience Dynamic 4K Gaming and 4K entertainment with PS4™ Pro. More details and Pre-Order link is available here.